If we are to go by being honest to our selves, those google ads are there for clicks right? Your answer will definitely be yes as that is the sole aim of keeping the adsense ads in the first place. I want to tell you about the little talked about reasons why you aren’t getting good amount of clicks despite your increased or regular quality traffic. Google adsense: What is it ? I want to briefly explain to you what google adsense is all about; It is an ad-serving program that places ads that “make sense” – specifically, that make sense based on relevant content, and presumptions about who might be interested in that content. AdSense is an application of the broader concept of Contextual Marketing. Contextual Marketing is just what it sounds like. On a website about custom cars, you might have an ad for fancy wheels or car care kits. On a website about off-roading, you might have an ad for durable truck tires or spotlight rigs. A hockey site might advertise hockey sticks…and a tennis site, tennis shoes. Contextual Marketing just means aligning the ad serving with the context/nature of the website and its audience, the same way like items are grouped in a store. And the “context” can be cut much finer than website level; it can be page level, article level, and so on, so the ads always match the material they are appearing near, and thus, appeal to the interest of the reader/buyer at any given moment. So what’s in it for you – the website, blog, forum publisher or owner? That’s easy. Every time a visitor to your site clicks one of these ads, you make money. The better the ads are targeted, the more clicks you get, the more money you make. Now let’s talk a slow walk down to the six(6) possible reasons you aren’t getting people to click on those ads despite the amount of regular traffic you get. This is a very rare case but do happen to few bloggers and forum owners who easily get obsessed with seo and immediately starts playing with their robots.txt not knowing when they block the google adsense site crawling robots. Also some sites restricts access completely except you register fully as a member, this can hurt as google adsense bot will find it difficult crawling your keywords. This in turn will hurt ‘cos google adsense uses your site’s keyword to display only ads that will be interested to your readers, when blocked some random ads that might be of no interest to your readers will keep displaying. For site’s that requires compulsory registration, you need grant google bots access from your adsense publisher dashboard. If you think or has already gotten the notification of ads being blocked by your robots.txt file, you need add this lines in your current and active robots.txt file to allow google and google ads bots crawl your site. Normally you shouldn’t be monitoring your ads every now and then but at least for the first 3months of implementing ads in your blog, you need monitor it’s performance, play between different ads positions, block low performing ads and many of this best google adsense practices . But a lot of person will ignore this part once they place the ads there. Some google adwords advertisers uses a lot of keywords when creating their campaigns, this is why you can easily spot a political advert on a car repair or phone serving blog. Believe me, most of your readers aren’t politicians and might never be interested in those ads. Carefully block those ads that chooses to slip away from their supposed category via your adsense publishing dashboard. Also block those low paying ads that aren’t very interesting from mere looking at it. Google has a lot of advertisers, even if you happen to block all those useless ads, they still have lots of targeted ads to display for your niche. Even some loyal readers will find an adverts uninteresting when it screams so loud at them telling how it is there just to get you some bucks. This could be one of the reasons you aren’t getting enough clicks as your users are discouraged from clicking to them. Also when your ads doesn’t blend fine with your blog background, it could be pictured as being too shouting. Always place your ads close to your content (not in a deceitful manner) so as to get enough impression and to get interested persons see it very quickly too. This is always the case with many newbie bloggers, they always get too excited once approved and immediately starts littering their blog with too many ads up to the point of getting their viewers pissed off. The bad user experience can not even give them enough time to stay on your site, let alone, clicking on adverts. Place ads only where it will turn out a great user experience for your viewers and place only fewer ads too. This may sound weird but it is the hard truth, many tech guys browses the internet with their ads blocking apps, addons and plugins enabled and might not even see your ads, let alone clicking on them. This time around, the adblockplus browser addon is even becoming very popular among internet users and could account for loss in the number of clicks compared to what you would have gotten without it. At times entertainment bloggers gets higher clicks than tech bloggers because of this factor. Google adsense displays using the keyword of your website matching with the ones chosen by the adwords advertisers while creating their campaigns. If you write on too many niches and targets a lot of keywords you may end up having too many random ads your users aren’t interested in. Target fewer keywords that can easily convert and also learn to optimize your ads for clicks. In addiction to all I have written so far on six (6) reasons you aren’t getting clicks to your ads, you need improve on your ads placement position and also take into account those pages that converts the most, also take note of the keywords that brings in the best value so as to build around them during your ads optimization. Let me get your contributions please ……. Great thanks to you Miracle for sharing the right information with us. Well I’m little disappointed with my Google Adsense Account. My Adsense Account has been bane at least three time & still I didn’t understand it’s reason. Do you have anyidea about it. If everything else fails, I go with your conclusion and it’s equally recommended by Google to try different placement positions. This is what worked for me, after manipulating the the ad placement, I began seeing increment in conversion. Alot of people suggests placing ads in the middle of posts, I am really not a fan of that method as its creates accidental clicks. Accidental clicks by visitors is obviously one of the reasons why many accounts are lost. It’s simply when a visitor enter a site via a campaign and leaves under 2-secs. Google will definitely start watching that account and when they are sure, lots of accidental clicks comes from that ad block, they might issue a warning or ban without notice. That is absolutely true Nosa, most users are going to confuse ads with normal post content if wrapped within the body of a post. As for google banning ones account ‘cos of such practice, I personally think it is likely to happen except it is by those download sites owners that appears to be immunized from ban. The ads from downloading websites can be so confusing that you will even click two different ads before clicking on the real download link. Thanks for dropping by Christina, from your story it seems there is something you aren’t doing right in your blog. eg. are your website images credited to the original source? are you posting any illegal content? are your sites’ contents genuine and completely void of duplicates? do you have low quality traffic or bad sites referring visitors to you ? These and many more questions is what you need look at before appealing your adsense account ban. Also make sure you aren’t violating any of their policies, I can also help review the said url for you, that is if it is what you can normally allow. This a guide for me, though I have not started monetizing my blog in either ways that are available. Thanks for sharing my boss. About 35% of people surfing the net are now using Ads blocking software or plugins on their browsers. This can also be they cause of low clicks. Or what do you think? Hi Cyracks, you are very right about that view, I also stated it in the article as one of the reasons for reduced number of clicks on ones google ads. Can I please know the url you are asking for a review? you can also send it to me via the contact us page, if that is what you will consider acceptable though. I have some person biff though with Adsense. But I think this is one post not just limited to Adsense but cuts across all other networks! This is one interesting article if i must say :). I seriously do not know that you can block or unblock the adsense code with the help of txt, that’s indeed nice :). Let me add up one to the table if you don’t mind. 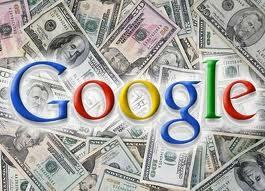 Adsense is all about experiment, so it is best to always experiment till you get the perfect position that pays well. Never stop experimenting. Thanks for your commendable contribution Babnature, Honestly I do appreciate your contribution about continuous experimenting of several ads position till a perfect one is spotted. Interesting Write up I must say. Keep it Up Obasi! Thank you for the information on Ad sense. I have also noticed that Ad sense seems to pick up some of my Google searches too which is fine at times but sometimes the adverts are completely unrelated to my blog. Is there any way of making use of this feature? Thanks for being here today Joshi, most of the ads might appear to be totally unrelated to your blog but have your blog’s keywords chosen while the owners were creating the campaign. Nice tips. These should help me get the clicks I need. Confused. I should neither block nor allow the ads? I’m glad you drop by today, the blocking ads we talked about in the first reasons happens rarely. It has to do with most persons that carelessly block google ads robot from crawling their blog, while the second point is talking about some persons that completely ignore their ads without blocking those low performing ones. Your website looks like a reference blog and needs the ads positioned for visibility to get gainful clicks. Besides, you’ll need solidify your blog for those keywords that are in position 1 and brings the most search engine traffic. EG- cancer quotes images, quotes about heartbreak and etc.